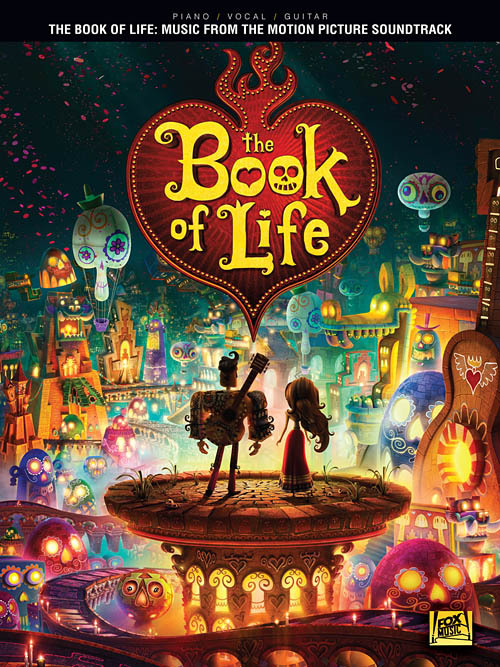 The Book of Life soundtrack features score music by Oscar®-winning composer Gustavo Santaolalla as well as an eclectic mix of pop and Latin songs. This animated comedy is the journey of Manolo, a young man who is torn between fulfilling the expectations of his family and following his heart. Before choosing which path to follow, he embarks on an incredible adventure that spans three fantastical worlds where he must face his greatest fears. “The Book of Life” encourages us to celebrate the past while looking forward to the future. Our folio features six songs from the soundtrack, including: The Apology Song • The Ecstasy of Gold • I Love You Too Much • I Will Wait • Live Life • No Matter Where You Are. Also includes eight pages of beautiful full-color art from the movie.